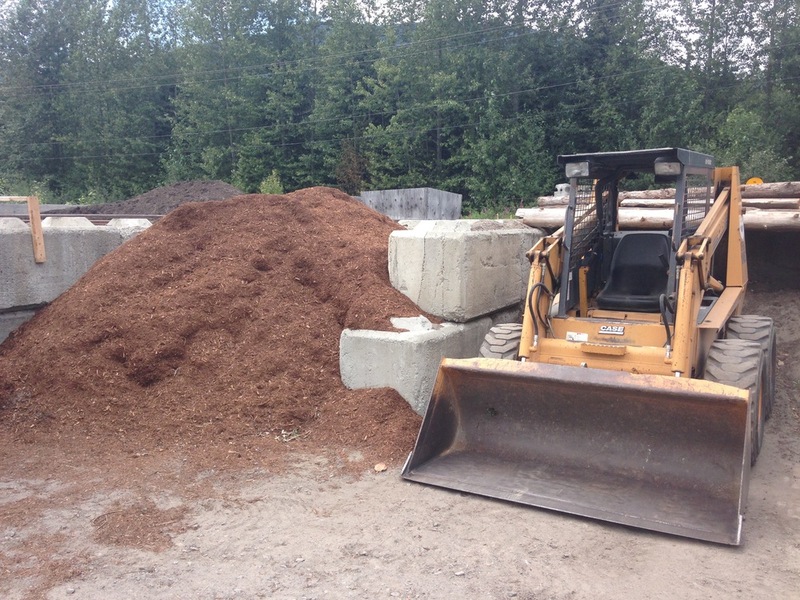 Another View Landscaping is happy to provide supply and removal service for landscaping materials in the Whistler area. Services are available Monday to Friday. We continually stock garden blend and turf blend topsoil, nutrimulch, 3/4 - crush and riverrock at our yard. Other materials are sourced from Whistler Aggregate, Cardinal Concrete and Twin Rivers allowing us to deliver what you want when it's needed. Another View is happy to provide a clean up crew for your home or garden to assist in the removal of unwanted material. We are then able to dispose of everything correctly at local dumps and quarries. With the assistance of heavy machinery we are also able to removed tree stumps and other natural features from your property.